Did Rockstar Chris Cornell Overdose On Ativan? The death of singer Chris Cornell, former frontman of Soundgarden and Audioslave, shocked friends, family and music fans alike. The singer was 52 years old and had only recently performed at a live show before he was found in his hotel room at the MGM Grand Detroit. The cause of death was eventually ruled to be suicide by hanging but his wife has questioned whether some issues with his medication may have contributed to the tragic event. Vicky Cornell released a statement stating that Chris may have taken more than his recommended dosage of an anxiety medication called Ativan. She was concerned because of their last phone conversation during which Cornell sounded different, as though he had slurred speech and told her that he “may have taken an extra Ativan or two”. She called security to do a welfare check but ultimately they could not stop the singer from taking his own life. Cornell has had struggles with drug abuse for many years, once stating that he began using drugs daily at the age of only 13. Over the years he has gone to rehab and relapsed multiple times but his issues with addiction were mostly resolved when he married Vicky in 2005. Cornell said it took him a long time to realize that being sober is better and going to rehab did help him to escape the feelings of depression that plagued him day to day. 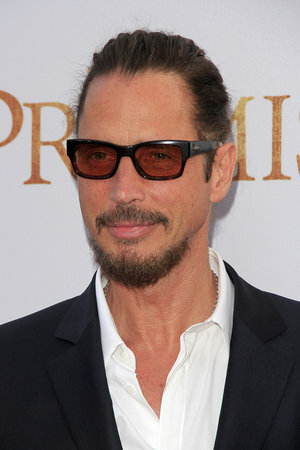 He seemed to have recovered from his issues with drug abuse and was feeling more at ease with his sobriety. At the time of his death however, the toxicology report showed that there were several drugs in his system including a significant dose of Ativan. The other drugs found in his system included a sedative called Butalbital, Narcan and four doses of Lorazepem which is commonly called Ativan. The level of Ativan in Cornell’s system was 200 ng/mL which is much higher than his usual 30-50 ng/mL dose. The Cornell family blamed the drug’s side effects for Chris’ death but the medical examiner noted that the level in his system was lower than the 300ng/mL levels of those whose deaths are tied to Ativan. The medication is a type of benzodiazepine that treats panic disorder and severe anxiety in the short term. “Benzos” are considered to be a highly addictive category of sedatives that slow down your nervous system to make you feel more calm. Ativan itself is a short-acting medication for anxiety that is usually prescribed in low doses every few weeks. Physicians believe Ativan to be very effective in a low dose to calm anxiety and panic attacks but it can be more dangerous when misused. People tend to build up a tolerance to Ativan and even experience withdrawal if they take too much or use the medication for prolonged periods of time. In terms of side effects, Ativan can cause symptoms like slurred speech, shakiness and trouble speaking in high doses. People who misuse the drug also tend to experience blackouts similar to alcoholic blackouts where they might engage in dangerous behaviors without being fully conscious of their actions. Abusing Ativan can also intensify feelings of depression and in rare cases, increase the risk of suicide. Although the drug is associated with these risks, people typically exhibit symptoms beforehand and they may have underlying mental health issues. Cornell had spoken in the past about his ongoing battles with depression so these issues combined with his misuse of Ativan could potentially have contributed to his death. The police report state that Cornell’s bodyguard had given him two Ativan pills around 11:30 pm and only 45 minutes later Vicky called to have him check back in on Chris. The bodyguard kicked in the door to the hotel room was found Cornell dead in the bathroom with an exercise band around his neck. Experts suggest that Ativan could be a contributing factor but not be the sole cause for Cornell to take his own life. His wife Vicky, however, believes there was nothing in his behavior that would suggest that he wanted to to commit suicide. She said that she spoke to him just before his Soundgarden show in Detroit and they discussed plans for a vacation over Memorial Day and things they wanted to do. It was after the show when she spoke to him again that she noticed a sudden change in the way he spoke and she suspected that something was wrong. Her firm belief is that he would never intentionally hurt his family by taking his own life and that the drugs he had in his system affected his actions. There seems to be no outward motive for Cornell to choose suicide but further investigation into who he spoke to and what occurred after the show may eventually shed some light on the issue.